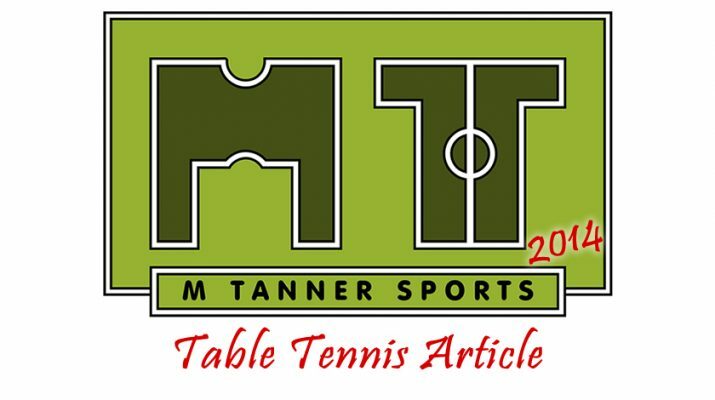 M Tanner Sports was fortunate to be invited to report on the Sussex Open on the 5th, 6th and 7th of July by Darius Knight and JF Sports Management. 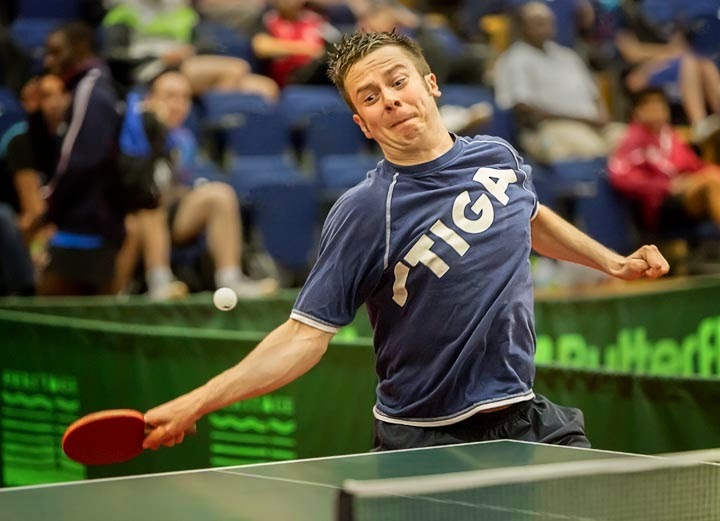 This is arguably England’s biggest table tennis fixture due to the generous sponsorship deal with Heritage Oil and BT Sport filming the semi finals and final. 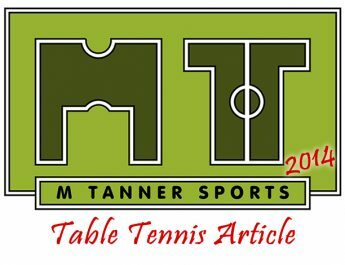 This review will give you a small taste of what it was like to be there and hopefully give you a better insight into Table Tennis. The Open was held at the K2 leisure centre in Crawley, which is just a few train stations away from Central London. This massive complex is run by Freedom Leisure, who are a not-for-profit leisure trust, on behalf of Crawley council; which was perfect to host 21 tables and seating for spectators. Heritage Oil sponsor the whole weekend of table tennis which saw junior, women’s, men’s and doubles competitions spread across 4 days. The prize money was impressive for an English Competition with £2000 awaiting the winners of the men’s and women’s top competitions. There were also different levels of competitions for men and women; the men’s competition had 6 different bands for you more social players. 3. Charlotte Carey – The number one Welsh seed carried the Welsh flag into the televised Semi Final on the Monday and played some excellent table tennis over the weekend. There was also an outstanding act of sportsmanship by her opponent in one of the latter rounds on Saturday. Alice Abbat from France told the tournament referee that Carey’s shot had touched the table when questioned; this was in the 5th set with Carey already leading 5-1, putting Abbat 6-1 down. At just 18 Carey showed remarkable battling qualities by coming back from 2 sets down in the televised finals to take her game against Sibley to a deciding 5th set. This experience will hold her in good stead going into the Commonwealth Games at the end of the month. 2. Luke Savill – This was a surprise for us and certainly for many of the crowd watching when the 14 year old went close to knocking out Andrew Baggaley. The match was played on table two in front of a noisy crowd who were willing him on. Even though the match finished 3-1 to Baggaley, the match was far from easy for the Olympian. Baggaley had to play some of his best table tennis of the Open to get on top from 1-1 with Savill taking every opportunity to attack any ball that sat up by just a fraction with his accurate hitting. 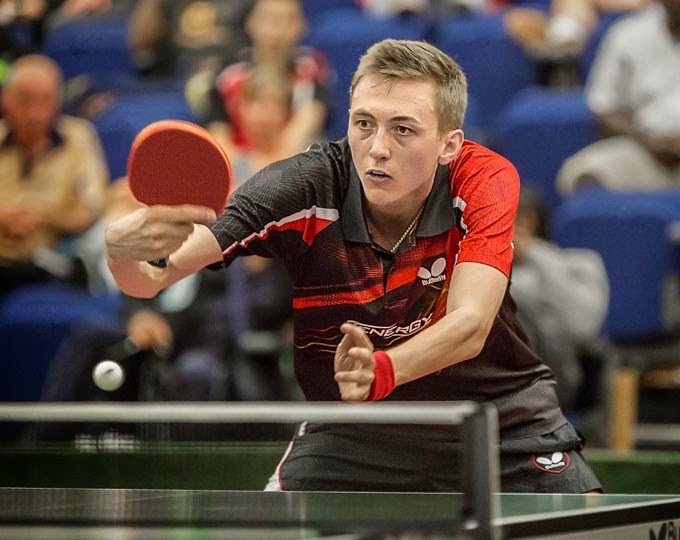 Definitely one to watch for the future and what is good for English table tennis is that he is coming through along with his friend Tom Jarvis. Both lads are sure to go on to have very successful careers in the game. 1. Sam Walker – You really can’t look much further than the 19 year old for top performer at the Open. There are now no doubts that Walker will do very well in an England shirt at the end of the month. He attacked every game as if his life depended on it. He knocked out his England captain, Baggaley, along the way to the finals after a 5th set scare from being 2 up. His best match was his semi final performance against Adam Pattantyus, where he dispatched the Hungarian number 2 in straight sets. Walker will team up alongside Liam Pitchford, Paul Drinkhall, Andrew Baggaley and Daniel Reed at the end of the month with the whole team very confident in bringing home medals from the Games. M Tanner Sports dark horse, Darius Knight also performed well in the Open coming through his 3 group match only dropping one set. He was eventually knocked out on table one to Niagol Stoyanov, the Italian raced into a 2 set lead but Darius clawed back to 2-1 but the world number 130 was too strong overall in his consistency. The loudest player award has to go to young Sam Mabey, who was closely followed by Jack Jenkins from Wales. Both players displayed a raw passion for the game and once it’s transferred into their play they will be future senior international players. Band 1 & 2 competitor Jajan Watterman was strapped up on every joint but still progressed through a few rounds with sheer determination; playing through the pain. The women’s competitions on the Saturday and Sunday were always fiercely contested with one of the best games being between Hannah Hicks and Megan Phillips, with Hicks winning, but every point could have swung either way. There was also a tough contest on each day between Tin Tin Ho and Karina Le Fevre, with both winning one each. The two England players will be grateful they are in the same team come the end of the month at the Games. Then on the Monday DK and JF Sports Management granted us access to the BT Sport Studio. It was a great experience to look behind the scenes at how the programme is made and see the various Green Rooms back stage. The athletes were treated very well with the staff doing everything to accommodate them and see that they were prepared for their games. This also allowed the option of seeing the semi finals from a number of different angles so they could study their own performances and those they were going to play in the final. So a thoroughly enjoyable weekend of table tennis and it will be great to re-watch the semi finals and finals on BT Sport 9am-11am. England and Wales are both set to do very well at the Commonwealth Games starting the end of July after these displays. Make sure you get your tickets for next year, well worth the trip! Many thanks to Roger Hance for the pictures; he is based in Sussex and does lots of different types of photography.